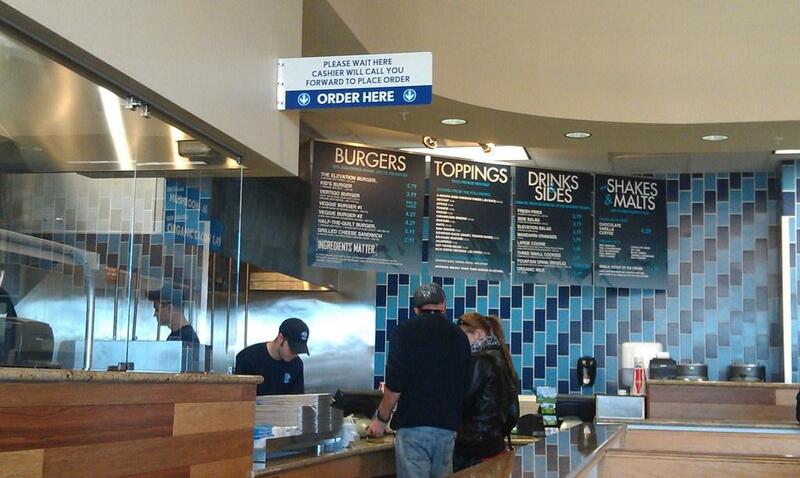 It seems like burger places are all the rage right now. After Thanksgiving, Mr. J and I were ready for something other than turkey. My dad took full advantage of this by taking us out to lunch at one of his favorite new finds. 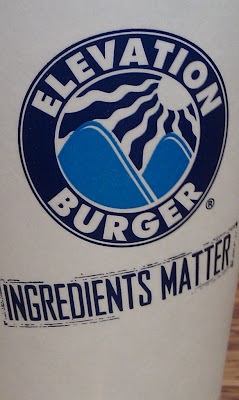 Elevation Burger is in Portland, Maine. 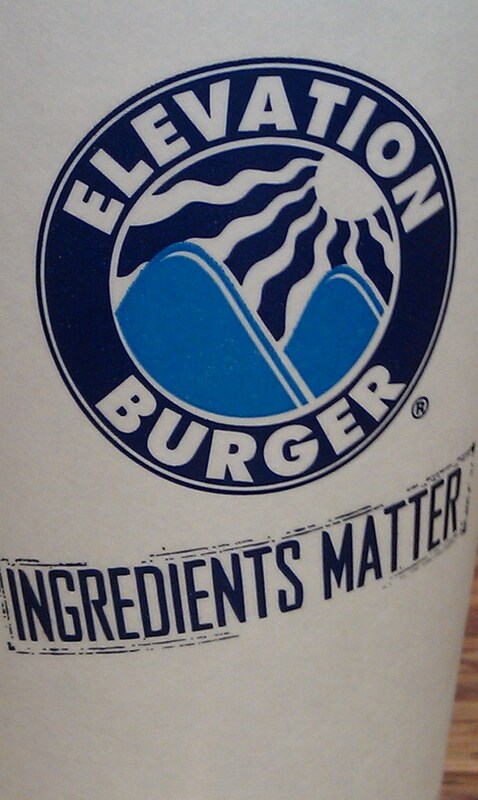 Similar idea to Five Guys, Elevation Burger focuses on the highest quality ingredients. They serve a signature burger with two patties. I opted for one patty knowing that I was going to snag a shake. They also allow burgers with up to 10 patties. Each patty is 100% organic beef. And they use potato buns. 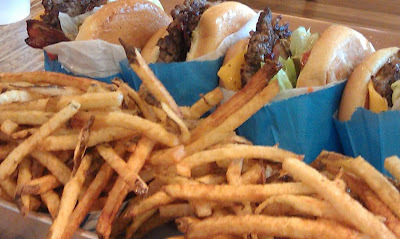 Potato buns are amazing and certainly add to the burger. Their shakes are three flavors: vanilla, chocolate, or coffee. They then have a list of add ins to really entice you to ordering. It worked for me and I got a chocolate with banana and Oreos. It was so, so good. I couldn't believe the flavor of the banana. What else makes this place great? Well, along with the shake add ins, they have tons of toppings for the burgers too. Pretty much any eater will find something to please thier palate. 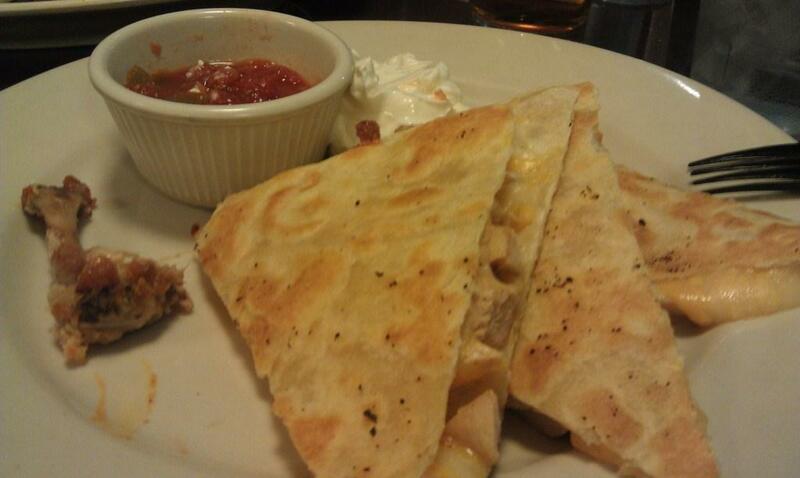 I had jalopenos, tomato, lettuce, cheese, and sauteed onions. Mr. J loved the organic bacon. Nice thick slices. 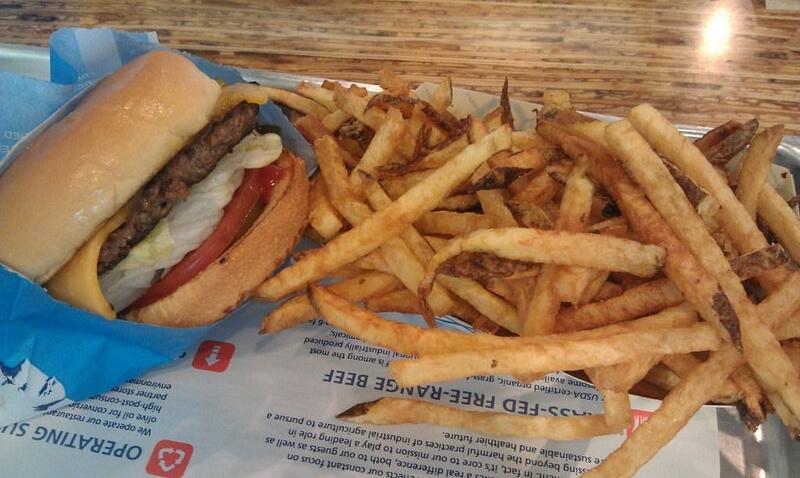 Finally, let's get to the fries. Skinny fries fried in olive oil. One size is enough to feed two. For me, I could care less for the burger and more for the fries and shakes. The whole package here is great and affordable. I cannot wait to go back for more. They have multiple locations so find one near you. Mr. J and I left for vacation on Monday. The state of our apartment was a mess. Christmas present buying, cleaning, packing, laundry. So much needed to get done in a very little bit of time. Somehow we managed to get out and make our flight without me freaking out too bad. Breakfast was the best meal of the day. I should just have three breakfasts each day. Due to being in Maine for Thanksgiving and then leaving there was very limited food options. 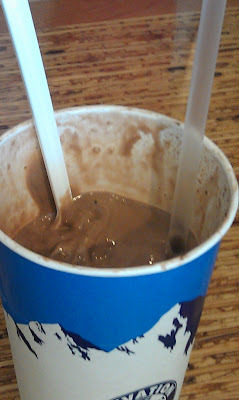 I had frozen bananas blended with coconut milk, topped with granola. Coffee. Best. Meal. of the day. 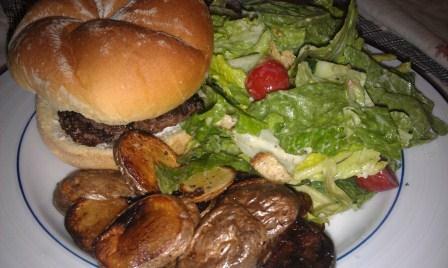 Lunch was a burger from frozen meat patties, bag salad, and fried potatoes. All of this was courtsey of Mr. J. Dishes and all. I think he was buttering me up for unlimited spending on vacation. Dessert was chocolates. Always love a sweet treat to finish a meal. 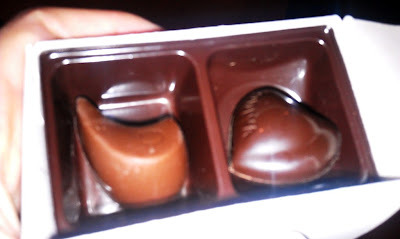 My mom gave us this little sample from Godiva at Thanksgiving. I had the dark chocolate, Mr. J had the milk. I had packed all sorts of snacks to avoid airport food at all costs. For the most part it is disgusting and very expensive. I have to eat it enough for work, on vacation it is not something I look forward to. Once at the airport though all plans fell away and we ended up with some appetizers at a pub. Do you pack snacks when traveling? This is my dad's granola. There was a time when my dad didn't eat breakfast. Or at least I didn't think he did. Or it wasn't healthy. Regardless this might be an example when I imposed rules on my family to make them healthy. In college I forced my dad to breakfast. Granola to be exact. We had a lovely farm shop that had homemade granola about 10 minutes from the house This became a weekly stop to pick up granola from the farm for my dad's breakfasts. My parents recently moved over an hour from this little farm shop making it no longer convenient to stop in on a weekly basis. Lucky for my dad I can make granola. Over Thanksgiving, I brought a big batch of this stuff saving him from the store bought boxes he has been eating for a few months. Hopefully it will last till December when I can bring more. Toss the oats, coconut, and nuts together in a large bowl. Whisk together the oil and honey in a small bowl. Pour the liquids over the oat mixture and stir with a wooden spoon until all the oats and nuts are coated. Pour onto a 13 by 18 by 1-inch sheet pan. Bake, stirring occasionally with a spatula (at the 20 minute mark and then every 5-10minutes), until the mixture turns a nice, even, golden brown, about 45 minutes. 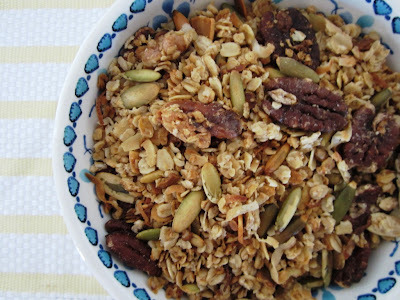 Remove the granola from the oven and allow to cool, stirring occasionally. Add the pumpkin seeds. Store the cooled granola in an airtight container. Let the Christmas Cookie Baking Begin! Thanksgiving is official over and now let the Christmas festivities begin. It seemed only fitting for this month's Secret Recipe Club recipe to pick a cookie. Holiday baking is cookies...and maybe some fudge. This month I Everyday Insanity. 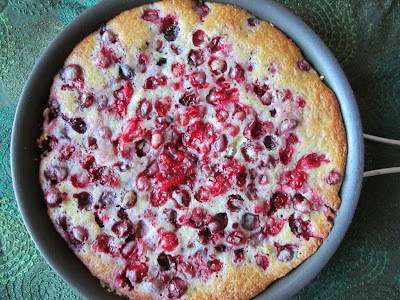 There were so many good recipes that were family tested and approved. I really had a hard time picking a recipe. Thank goodness I had already narrowed the search to cookies. After looking at her endless cookie options, and I do mean endless, I had a list of about 20 I was tempted to make. I finally picked the Idaho Party Cookies because they sounded delicious and the name made me chuckle. My husband and I joked about why they could be called Idaho Party Cookies.These cookies have cornflakes and coconut. Idaho has potatoes. If anything they should be called Iowa Party Cookies for the corn aspect. Everyday Insanity got this recipe from a friend who insisted on trying it. They said these were fantastic and I couldn't agree more. 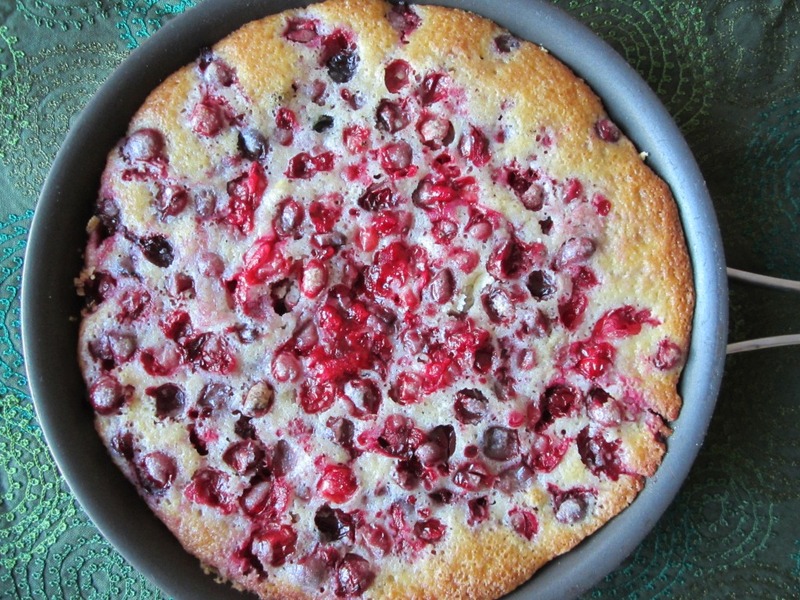 The combination of ingredients may seem a bit strange but they come together great. The textures work well together too. Crunchy and smooth all at once. As Christmas season approaches I pass this cookie recipe along to you for sharing. They will love you for it. In a stand mixer cream butter and sugars until well combined. Add eggs one at a time and vanilla. In a separate bowl combine dry ingredients, nuts, and chocolate. Add to stand mixer. Mix until the batter comes together. Scoop out dough onto cookie sheet and then refrigerate dough balls for 30 minutes. Did you eat too much yesterday? Overall looking back I didn't eat to much but I definitely sampled ate three desserts. Now that is my kind of day. Today though I am going to cut back. Two desserts instead of three. Soup is also a great way to cut back. I always feel like I am eating a ton when it comes to soup but really it is just the liquid volume. This hearty sweet potato and sausage soup is very filling. It also has kale with is a great way to pack in those nutrients. I ate this every day leading up to Thanksgiving and now wish there was more. In a large pot, heat oil over medium-high. Add onion and garlic and cook until onion is translucent, about 6 minutes; season with salt and pepper. Add sausage (break it up often with a wooden spoon!) and cook until browned, about 5 minutes. Add sweet potatoes, broth, and water and bring to a boil. Add greens and simmer till tender. In a separate pot cook the pasta al dente. When the greens are wilted and sweet potatoes are soft add pasta to soup mixture. Ladle into your bowls and sprinkle on Parmesan if desired. Celebrating my second wedding anniversary with my wonderful husband. I really think we are better together each and every day. Seeing my brother, sister in law, and my new nephew. We don't get the opportunity nearly enough. That our worst Sandy experience was a few days without power. Being able to plan several vacations at once for the next few months. Having today and this weekend with lots of family time. I think I have mentioned before that Sundays are my most favorite days of the week. I try really hard to get all of the major chores done on Saturday so our main focus can be fun and relaxation. For us that normally involves food. This past week I had mad cravings for breakfast, particularly pancakes. Mr. J is always up for a good, hearty breakfast and it didn't take much to convince him to hold off eating till after my run. He even jumped up to warm up my car knowing that I wouldn't diddy dally getting ready when my car was running. Smart man. He wanted eggs and bacon. I wanted pancakes. We both had some of each. These weren't just any pancakes though. I added molasses, cinnamon, cloves, and ginger to the recipe for some Gingerbread pancakes. I think I stirred the batter a bit too much because they weren't as fluffy as normal but the taste was fantastic. I will be doing this again. Mix the flour, baking powder, ginger, cinnamon and cloves in a large bowl. Mix the milk, egg, butter, sugar and molasses in another bowl. Heat a pan and melt a touch of butter in it. Pour 1/4 cup of the mixture into the pan and heat until the surface starts to bubble and the bottom is golden brown, about 2-3 minutes. Flip the pancake and cook the other side until the bottom is golden brown, about 1-2 minutes. Lunch was I kind of forgot about. Ops! 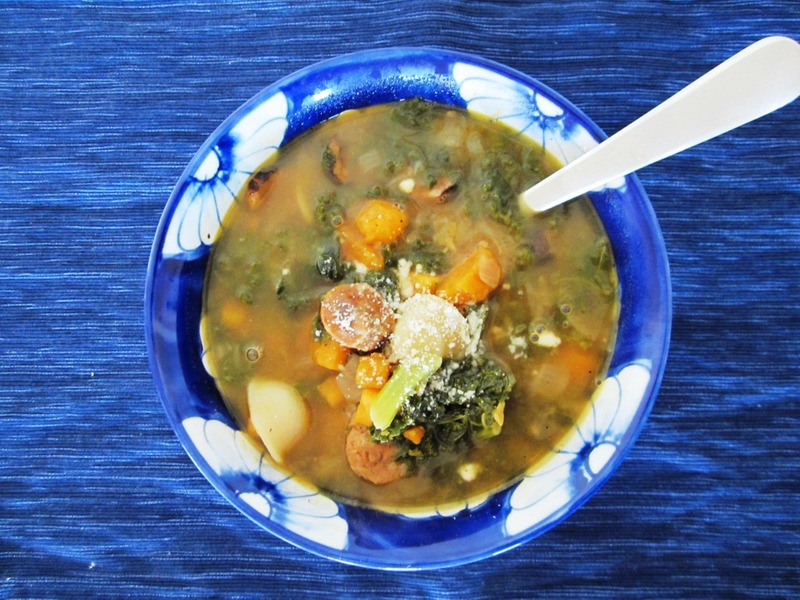 We had leftover sausage kale soup. It is marvelous. The recipe will be up and ready the day after Thanksgiving. I call it detox. Dinner was a Mr. J specialty. I had some leftover sausage from a soup I made and needed something to use the rest of it. Pizza was the likely answer. Our favorite pizza is sausage, onion, garlic, and hot pepper. I was all set to make a regular pizza when Mr. J announced that what he really wanted was pan pizza. At first I wasn't convinced. In fact, I was a bit annoyed by his last minute change up but in the end it was super easy to press the dough into one of our larger pans. The rest of the set up was the same except the cooking time. We added about 15-20 minutes longer to make sure the thicker crust was cooked through. I think this might have been the only time we had a perfectly rounded pizza. Have you ever made pan pizza? I hope you all are ready for Thanksgiving! Tonight I am busy packing up all of our treats for tomorrow morning. I cannot wait to share them with our families. 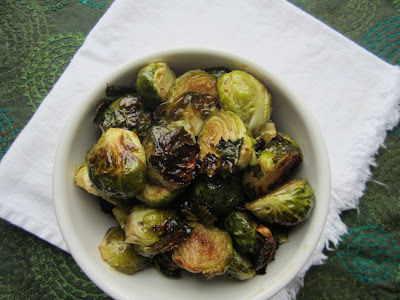 There has been a ton of round up recipes going about and I know I could pretty much have a different Thanksgiving day menu every day for a week. Glorious, I know. Too bad it's not reality. In case you are in need of a few more last minute ideas check out what I tried out this year. For the most part I try to stay away from chain restaurants. Yes, you know what to expect and there is safety in that but I would much rather go for the unknown. With traveling I have found some amazing meals in the most unexpected places. However, sometimes the mood hits and you crave that familiarity. Homemade bread is the best. We all have those places where we know the bread basket is coming. And in that basket is a little piece of heaven. For me, that place is Texas Roadhouse. Their sweet dinner rolls are just the best. Served warm. I would go there just for these rolls. Once on a work trip I found myself alone for dinner with a Texas Roadhouse right beside the hotel. I ordered a steak to go. When, I got back up to my hotel room I found 4 dinner rolls along with my meal. I ate the rolls and not the steak. A little piece of heaven. I wanted a good roll recipe for Thanksgiving. Through my searches I came upon the copycat recipe of the Texas Roadhouse rolls. Dissolve yeast in warm water with a teaspoon of sugar; let stand until frothy. Combine yeast mixture, milk, 1/2 cup sugar and enough flour to make a medium batter (about the consistency of pancake batter). Beat thoroughly. Add melted butter, eggs and salt. Beat well. Add enough flour to form a soft dough. Sprinkle a small amount of flour onto counter and let dough rest. Meanwhile, grease a large bowl. Knead dough until smooth and satiny and put in greased bowl; turn over to grease top. (I used the dough hook on my Kitchen-Aid to knead this for about 4-5 minutes). Cover and let rise in a warm place until double in bulk. Punch down. Turn out onto a floured board. Divide into portions for shaping; let rest 10 minutes. Shape dough into desired forms. Place on greased baking sheets. Let rise until doubled. Bake at 350 degrees for 10-15 minutes or until golden brown. Baste immediately with butter. Yield: 5 to 6 dozen. Serve with Cinnamon Honey Butter.